A young woman with a dangerous power she barely understands. A smuggler with secrets of his own. A country torn between a merciless colonial army, a terrifying tyrant, and a feared rebel leader. The first book in a new trilogy from the acclaimed Heidi Heilig blends traditional storytelling with ephemera for a lush, page-turning tale of escape and rebellion. For a Muse of Fire will captivate fans of Sabaa Tahir, Leigh Bardugo, and Renée Ahdieh. To be honest, I really didn’t know what to expect going into this book, but the summary sounded pretty awesome, and like nothing else I’ve read so far, so I was super curious to get started on it. There were a lot of things I like about this book, including the characters, all of who are interesting in their own way. I was completely (Fascinated) by Jetta, the main character in the story, and her ability as a shadow-player. (Like a puppeteer, but with a twist.) I enjoyed reading about her ability, and I loved her close relationship with her family as well. Though the storyline for the book was a little hard to get into at first, but once I got used to the language and the writing, it was a bit easier for me to move along with the story. The setting and the world-building in this book were pretty interesting. Heidi has a nice way with words, and I enjoyed her descriptions. The Asian and French cultures were absolutely fascinating, and I can’t say that I’ve read any books in the past that have included this before. I’m super curious about the way the story ended, and I’m looking forward to the next book in the series, which is at this moment currently untitled and without a release date. Hopefully we will get some information on that soon. 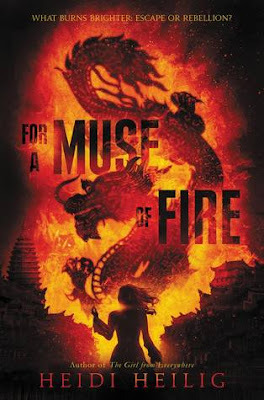 Overall; For a Muse of Fire is the first book in what should prove to be a really great series by author Heidi Heilig! I absolutely can’t wait to get more information on the second book, and I will be checking that out ASAP. I also plan to move The Girl from Everywhere series up on my TBR to get to as soon as possible, as I’m super curious about it now as well! (Even more than before, if that’s even possible!) 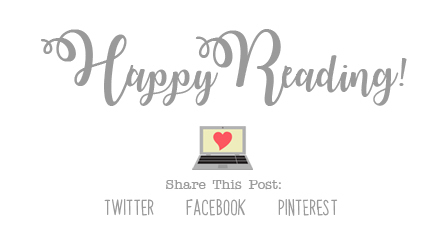 If you’re looking for a great series to start, do check out For a Muse of Fire! !